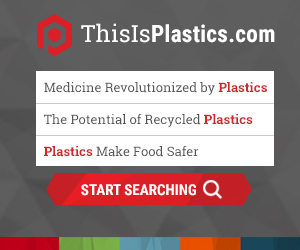 When making certain plastics, organic peroxides are used to initiate a process called polymerization, where one molecule links with other molecules, over and over again, to create plastic polymers. Organic peroxides are essential in the manufacture of plastics like polystyrene (PS), polyvinyl chloride (PVC), and composite products like fiberglass. There are hundreds of different organic peroxides, and each variety has its own properties and uses that enable them to create different polymers with different qualities. The same reactivity that makes organic peroxides so useful in facilitating the manufacture of plastic materials also makes them dangerous if handled carelessly. Following recommended storage and handling practices can effectively reduce the risk of fires or explosions associated with organic peroxides. Promoting these safe practices is part of the mission of the Plastics Industry Association’s Organic Peroxide Producers Safety Division (OPPSD). OPPSD aims to promote the safer handling of these compounds and serves as a resource for plastics companies, and the public, about the science behind them. Discuss and resolve safety issues confronting the organic peroxide industry. Establish better communications surrounding best safety practices for firms that manufacture, ship, handle and store organic peroxides. Identify the hazards presented by mishandling organic peroxides and determine or develop appropriate testing methods to accurately measure these hazards. Promote research, development, standardization and publication of reliable data. Establish recommended safe practices for organic peroxides. Safety and Loss Prevention Bulletin -- "The Storage and Handling of Organic Peroxides in the Reinforced Unsaturated Polyester Fabricating Plant Room Temperature and Spray-up Applications"
Proper disposal of organic peroxides and their byproducts are important, as risks may still be present. In addition to the resources below, contact your organic peroxide supplier for assistance.